Summer is my favorite season of the year as it brings an abundance of fresh fruits and vegetables full of amazing vitamins and nutrients. Add as much variety of colors in the composition of your summer meals. Don’t hesitate to try new ingredients you have never thought of including before. Don’t overcook your veggies. Include some fruits in your salads. 1. Cut 1/4 cucumber into small dice, and set aside for garnish. 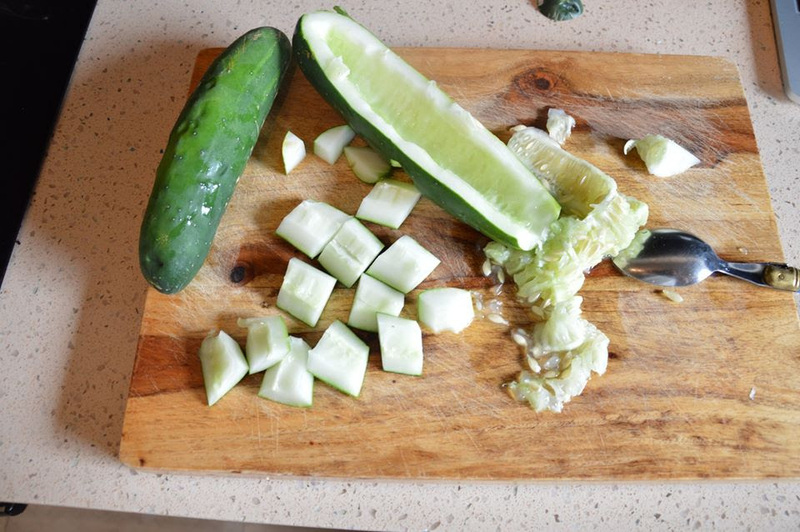 Cut remaining seeded cucumbers into large chunks. 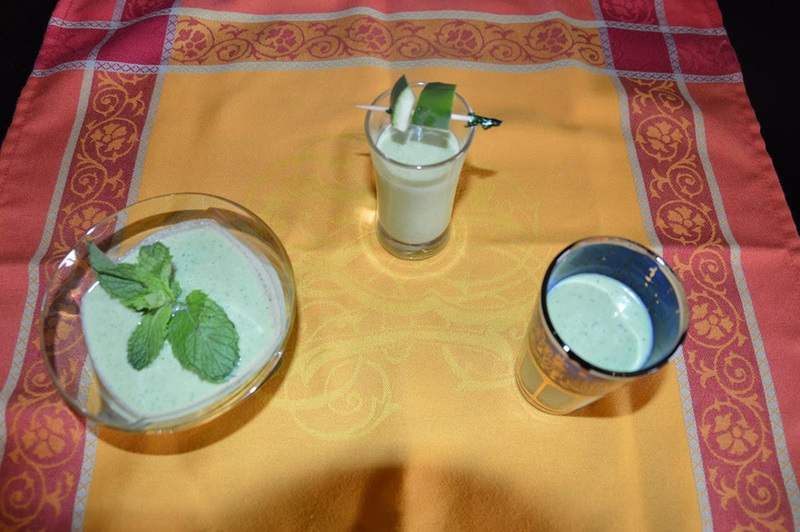 Combine cucumber chunks, yogurt or yogurt substitute, lemon juice, and water in a blender, and puree until smooth. 2. Add mint leaves, reserving some of the mint for garnish, and puree briefly. Season with salt, pepper and cayenne and add more lemon juice if desired. 3. Chill until ready to serve. 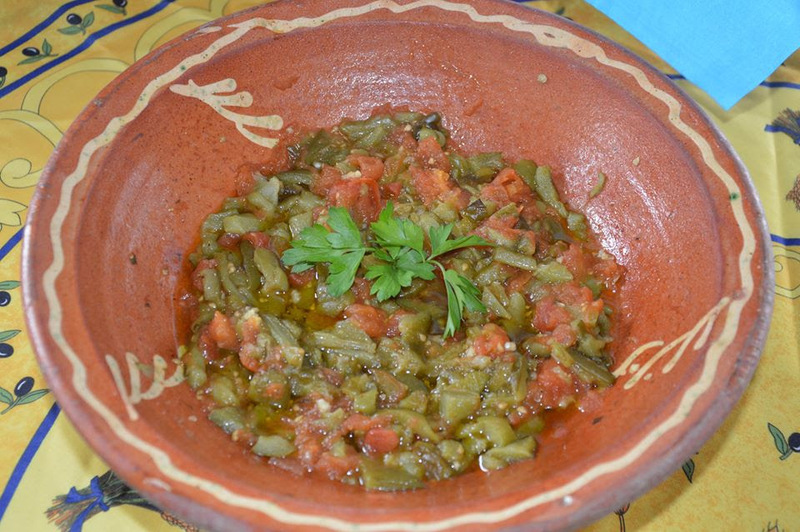 Stir well before serving, and ladle into bowls, mugs or (my favorite) Moroccan tea cups garnishing each serving with a big spoonful of diced cucumber and/or mint (if desired). 1- Slice avocados in half. Discard the seed. Scoop out of shell with a spoon. Place in bowl. 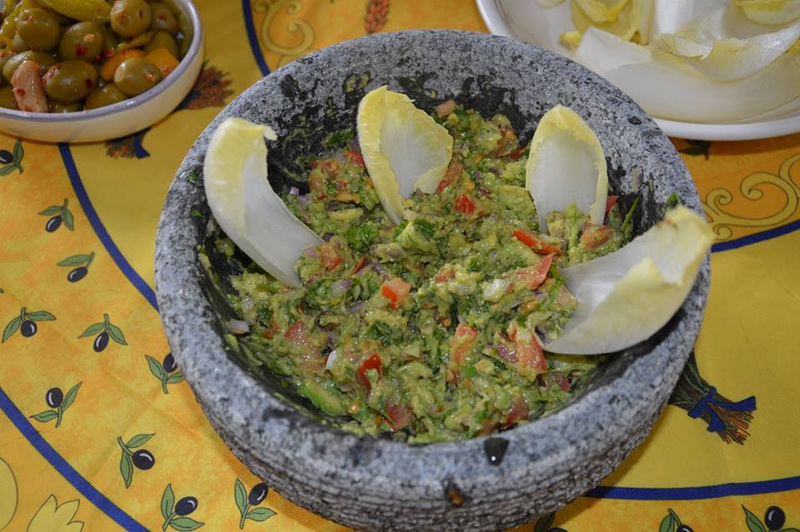 2- Add juice of one fresh lime immediately to prevent browning. Use a fork and mash to desired consistency. 3- Add chopped onions, tomato, and cilantro. Stir gently to mix ingredients. 4-Add juice of second lime and then salt to taste. Stir just slightly, until incorporated. (don’t forget to peel the skin off once cooked) with crushed garlic, olive oil, salt and pepper. 1-Take the bell peppers, clean the stems and seeds. Cut into strips lengthwise. 2-Season LIGHTLY with salt and freshly ground black pepper. 3-Place skin side down on hot grill, until skin blisters and peppers soften (3-8 minutes depending on grill). You can let the skin brown a bit if desired. Turn peppers and grill until inner side is done (about half the time of the skin side — 2-4 minutes). You can also cook them in a traditional over at 400 Degrees F until they become very soft. Peel off the skin and cut them in little cubes. 4- At the same time grill or over cook your tomatoes. Once cooked discard the extra water and chop in little cubes. 5-Mix the peppers and the tomatoes, add the pressed garlic, salt and pepper and the olive oil. Previous Previous post: Emily Mara, New AKT Hamptons Director and Trainer of the Month.